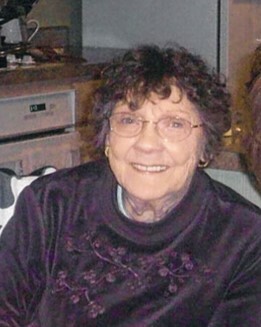 Vlasta A. Stawiszynski, 88, of Paw Paw, MI, and former resident of Burbank, IL, passed away peacefully on Wednesday, December 5, 2018, at home. She was born November 23, 1930 the daughter of Bohumil and Katherin Benak. Val graduated from high school and married the love of her life, Chester, on September 24, 1949. They were happily married for 69 years; He passed away just one month before her. Val was the anchor of the family and hosted many family reunions. She loved to cook and bake and took pride in passing down traditional family recipes and history. Val was an avid reader and an expert at crocheting, always being involved in a craft project. She also taught ceramics back in Burbank in her earlier days. She truly enjoyed her friendships and involvement with the Van Buren County Senior Services. She was a devoted wife, mother, grandmother, and friend. She will be dearly missed by all. She is survived by her Children, Joanne (Scott) Shaefer, David Stawiszynski, Lorraine Preston, and Kathryn (John) Sagers; Grandchildren, Natalie, Audrey, Jill, Jeff, Daisy, Jen, and Heidi; Sister, Emily Walsh, and a host of other loving family and friends. She was preceded in death by her parents and her loving husband, Chester. A graveside service will be held at Mount Auburn Cemetery, in Stickney, IL, on Tuesday, December 11, 2018, at 11:00 am. Contributions may be made to the Hospice Care of Southwest Michigan.